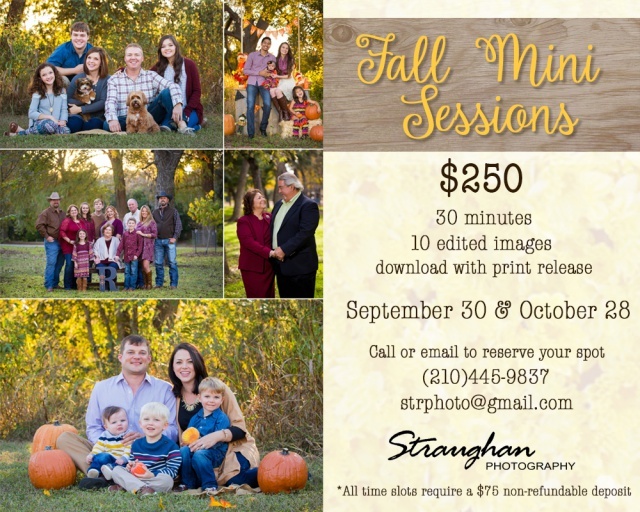 2017 Fall Family Mini Sessions are here! Two dates available. You can do your with or without fall decor!